Now I don’t want people to start worrying. I have no plans to ditch my husband ( just yet ! ) but after reading an interview with Preston-based divorce solicitor Jacquie Birkett from Barber & Co I started to think what I would actually do if it ever happened. January officially has the highest number of divorce applications than any other month in the year. After trying to keep it together for the sake of the kids over Christmas many couples look to end their marriage as soon as the Solicitors open their doors in the New Year. Me & my Hubby celebrate 10 years of marriage in June and I like to think we will live out our days together but not even the Fortune Tellers that dot the Golden Mile of Blackpool could predict the future.We presently live in a rented house while we wait for our new detached house to be built and I drive around in a pretty nice car. If my marriage broke down could I afford to keep my lifestyle or more importantly the kid’s lifestyle up? Sure I could get rid of the car and get a cheaper one but where would we live? Could I afford the mortgage of the new house on my 4 days a week wage? I would like to think that if the worst happened my husband would pay his fair share towards the kid’s upkeep but there are no guarantees in life are there? Jacquie strongly recommends that ex-partners come to a financial agreement before they sign the decree absolute as not sorting the finer details can leave you open to claims by your ex-partner in years to come. How would you feel if you won the lottery and your ex who you divorced 10 years ago was able to claim 1/2 ???? Whether you are a stay at home or a working mummy & however much you are blissfully happy in your relationship I do think we have to be wise and think about these things.Most of us have taken some sort of back seat with our careers so we can spend more time with the kids and thus seen our income (if any) reduced. Now by no means am I telling you to open a Swiss bank account and start squirrelling away you money ‘just in case’ but I think knowledge is power. How many of us know the breakdown of the household bills or like me do you just put X amount in the joint bank account each month and don’t think any more of it? This post is full of questions but after reading Jacquie’s interview it left me asking myself all the above. I am no 1950’s housewife and I earn a decent salary but I just put my 1/2 of the bill money in the joint each month and leave my hubby to manage the account. Am I nieve or just happy not to have 1 more stress in my life ? How do you do things in your house? Does your husband look after the finances or do you know every penny that comes in and out each month? 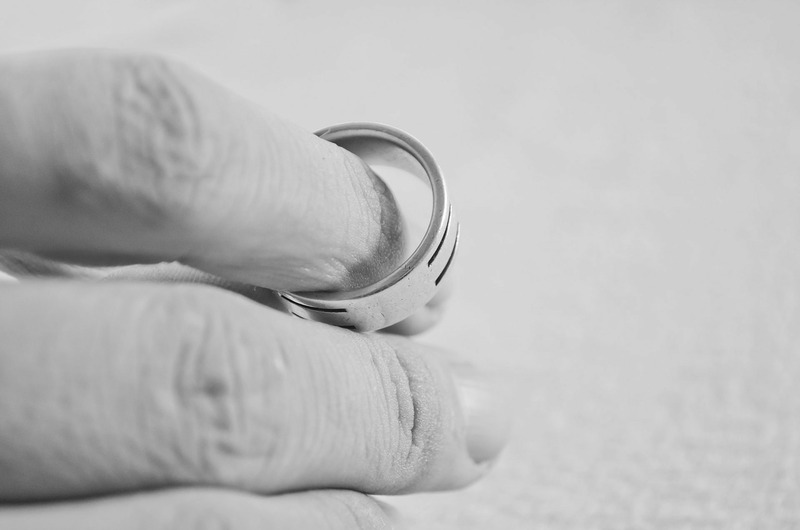 How would you cope financially if you got divorced? Leave me some comments below. And if that was a little heavy for you on a Friday night then give yourself a giggle with the Most ridiculous reasons for divorce . "How i Only Spend £50 a Week on Groceries – Guest Post by Savings 4 Savvy Mums"
"POSTS FROM THE HEART – WEEK #1 FAVOURITES"
It really made me think. Having looked a the joint last night I nearly choked on my wine when i saw we are paying nearly £100 to SKY each month. Thats 2 big shops at ALDI !!! Our house insurance is costing us double it should be and we are paying £40 a month for a BT line we dont use.I trust my hubby but in truth i have been sticking my head in the sand for a long time. I definitely agree that knowledge is power. I am a SAHM but I am the one who controls all of the finances. Having one account between us makes things much simpler in our house! I am a SAHM so I bring nothing into the house. I would say if we were to split I’d be screwed but I know my boyfriend would never let his children go without so the poor bloke would still be paying out. It’d probably be him suffering the lifestyle change.